BEP ATC Fuse holder. 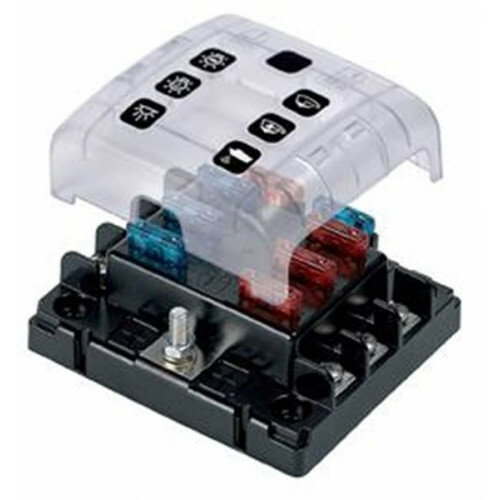 Blade fuse block 6 x up to 30A 100A total corrosion proof with plastic cover. Complete with link to link modules to make a 12 way holder or more. Note there is no negative bus with this fuse holder.